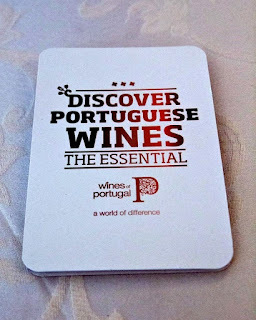 As in recent years, the ‘Wines of Portugal’ wine event came to town this year as well. Unlike previous years though, this time round, it’s activities were held over 3 days; and this year's event was locally organized by Sopexa. 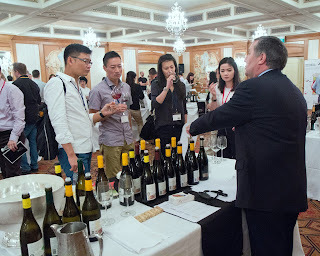 You don’t often hear of tailored wine classes or appreciation workshops held in Singapore specifically for Portuguese wines. Knowledge on Portuguese wines is usually acquired by and large by wine professionals and local wine merchants if they opt to pursue locally offered wine courses like WSET, CSW or CMS programs (in which wines from Portugal fare as a component to learn). 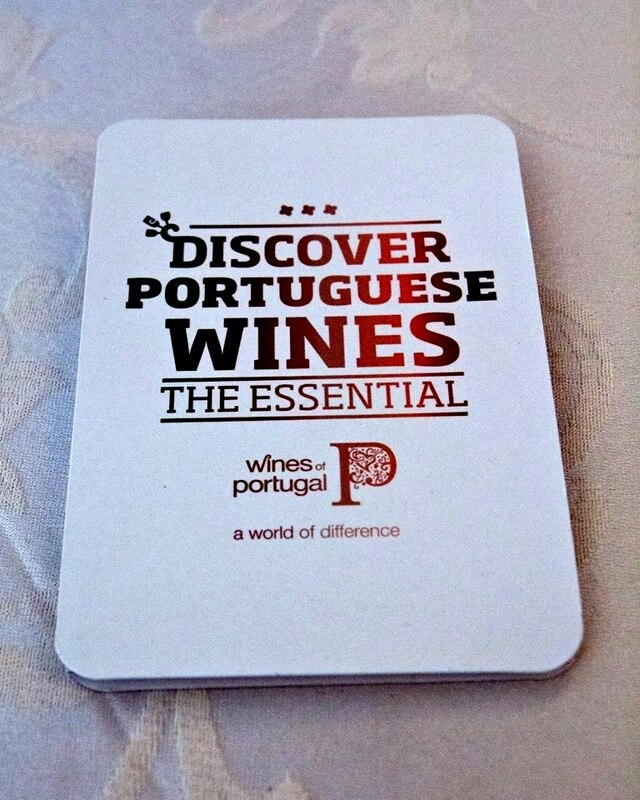 The ‘Wines of Portugal’ event therefore stand out as an important avenue for local wine merchants and professionals to get a quick snapshot on the current state of the wine industry in Portugal, meet wine producers and get first hand appreciation of its wines. 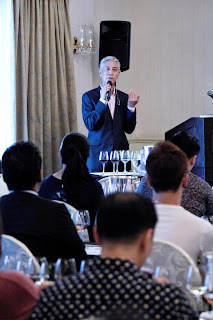 Edwin Soon, a well respected wine writer and educator in this little Red Dot of ours, was the speaker for the Masterclass. Slightly over 50 participants attended this session which was held at Casuarina Suite in Raffles Hotel. One who has travelled to Portugal before, Edwin shared on his personal experiences as well as information on Portugal in relation to the global wine scene, wine classifications governing Portuguese wines, the climate and terroir of respective wine regions within Portugal and details on notable indigenous grape varietals found in Portugal. 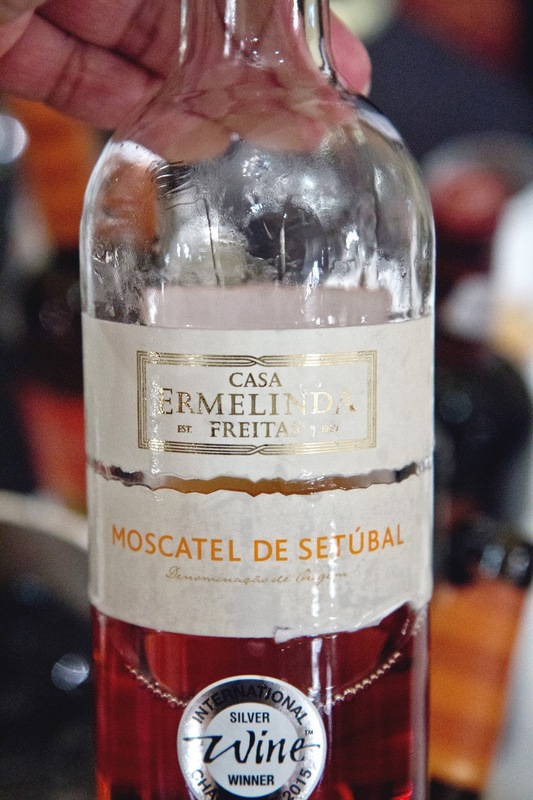 Apart from the well known Vinho Verde, Dao, Alentejo, Duoro and Madiera wine regions; participants had the opportunity to learn about other regions like Peninsula Setubal, Lisboa, Tras os Montes, Tavota-Varosa and Tejo (to name a few) as well. 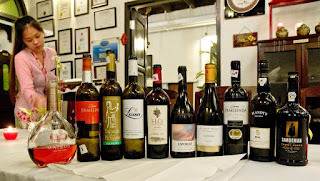 These wines offered participants some perspective on the different wine styles and characteristics found in wines from different regions of Portugal. Dinner was held on 13 July at True Blue Cuisine at 49 Armenian Street. Guests comprised of several wine producers, local wine merchants and industry professionals. The theme was Peranakan cuisine paired with Portuguese wines. Edwin Soon was at hand to talk about early Portuguese presence in South East Asia, the influence of spices on Portuguese cuisine and the development of Peranakan cuisine. A little twist to this dinner was that the wines accompanying each course were served blind. The guests were than invited to try the food with different wines and rate which they preferred as an ideal match. 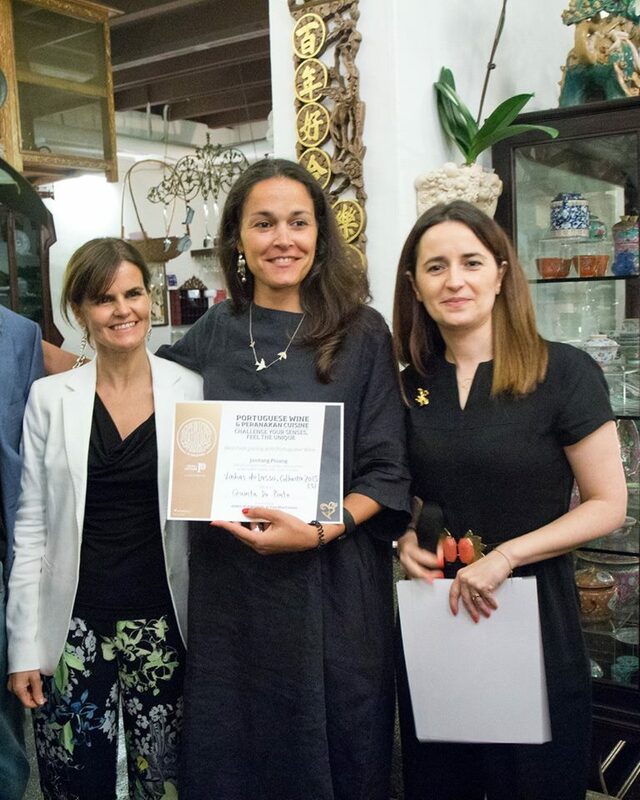 Results were consolidated and the preferred wines received awards of recognition. This exercise offered guests a quick appreciation of how Portuguese wines can be matched with Peranakan cuisine. 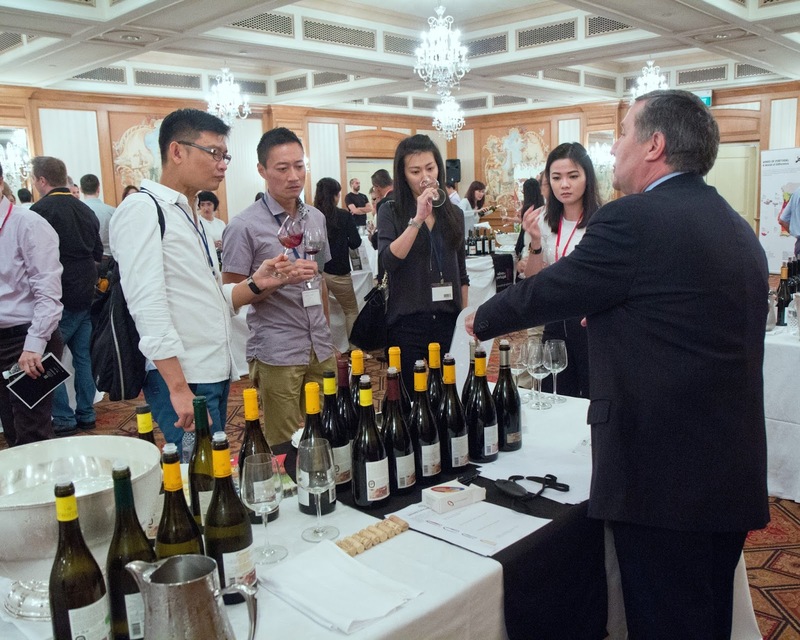 24 wine producers showcased their wines during the Grand tasting (which was held at the Ballroom, Raffles Hotel on 14 July). 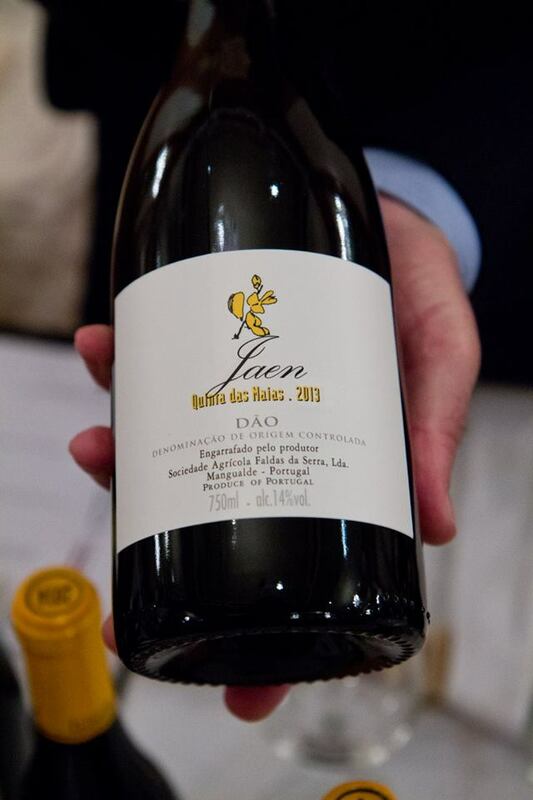 These producers came from 7 of Portugal’s wine regions: Lisboa (2), Several (6), Alentejo (4), Dao (3), Peninsula de Setubal (1), Porto & Douro (6) and Vinho Verde (2). Wine producers and winery representatives were at hand to share with local attendees more about their respective wineries and wines. There was a good range of wine styles, single varietals as well as blends offered during this tasting event. 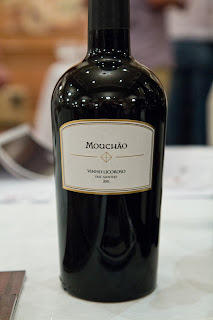 There were ‘easy to drink and ready to consume’ whites with slight effervescence offered by produecrs like Aveleda (Casal Garcia Branco) and Vinhos Norte (Tapada dos Monges Lourero 2015). 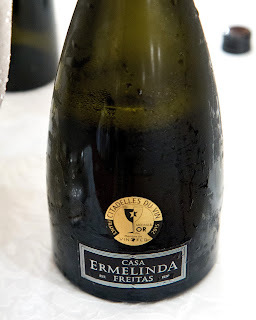 There was serious sparkling wine as well like the Casa Ermelinda Freitas Espumante Reserva 2011 (barrel fermented, batonnage influenced and barrel aged); it certainly showed noticeable depth, complexity and presence. Avelada’s Quinta da Aveleda Vinho Verde 2015 showed more than freshness due to lees aging; and Vinhas Do Lasso, Colheita Selecionada 2015 offered a white wine noticeable for structure and weight. Both whites and reds by and large came as blends. It showed the wine producers preference to bring together the strengths of different grape varietals to produce their preferred wines. There were a few exceptions of monovarietal wines though; like Aveleda Alvatindo 2015, Quinta Vale dÁldeia Alvarinho 2015, Horta Osorio Touriga National 2012 and Quinta Das Maias Jaen 2013. A pleasant discovery among the reds were those from 'old vines'. Here different grape varietals are grown together in a specific plot. Then the grapes are harvested and fermented together to produce a red wine. 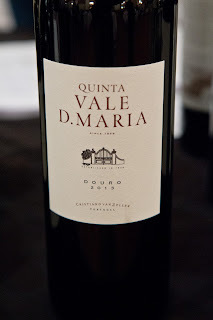 Quinta Vale D. Maria Douro 2013 (old vines) came from a plot planted with 41 grape varietals. 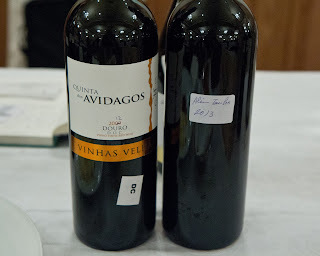 Another example are red wines from Quinta Dos Avidagos which showcased Quinta dos Avidagos Vinhas Velhas 2012 and Qunita dos Avidagos Vinha do Alem Tanha 2013 (both from produced from old vines). For fortified wines, Casa Ermelinda Freitas Moscatel Roxo de Setubal Superior 2009 and Mouchao's vinho Licoroso 2009 stood out. Certainly an educational wine event, I must say.